Continuing this theme, reevaluate what you are eating for dinner. Perhaps you can make some healthier selections and discover a few tasty new foods. Instead of spaghetti, consider trying spaghetti winter squash. 1 cup boiled squash provides 28 mg of sodium, 181 mg of potassium, 22 nag of phosphorus, and 1 g of protein. Summer squash has an even lower amount of potassium. If you can't give up actual pasta, at least consider whole wheat or whole grain varieties. 3/4 cup of whole wheat penne pasta from Heartland contains no sodium, no potassium, only 2 g of sugar, and 7 g of protein. Another option is quinoa (keen-wa). 1/2 cup of cooked quinoa contains only 7 mg of sodium, 140 mg of potassium, and 160 mg of phosphorus. It has a very low glycemic index score and provides 4 g protein. Instead of corn tortillas, consider using a brown rice tortilla when making tacos and burritos. One wheat-free, gluten-free tortilla contains only 160 mg of sodium and 95 mg of potassium. It has no sugar, about 100 to 150 mg of phosphorus, and each provides 2 g of protein. Here again, you can add vegetables of your choice depending on your potassium requirements. One of my reasons for espousing natural and healthy food choices in the face of kidney disease is that food can not only heal it can also hurt. For those with certain forms of nephritis or the nephrotic syndrome, these words ring very true. The following information is useful in the face of special circumstances. We talked in depth about the role that food allergies may have in getting GN or NS. If you have been diagnosed with one of these syndromes, your diet should be as anti-inflammatory as possible in order to remove any possible exposure to contributing factors in foods. As you read, it can be very hard to pinpoint the exact allergy. Therefore, I would strongly recommend avoiding all dairy and processed food. An interesting medical article suggested that celiac disease may be more common than once thought, and it is my opinion that it may be wise to consider a gluten-free diet. If you have advanced CKD (stage four or five), or if your doctor says you have acidosis due to kidney disease or diabetes (this can happen here in the early stages), I would ask you to consider the use of alkalized water, plus the consumption of those vegetables that produce more alkalinity in the blood. Again, discuss all changes with your doctor before trying them. If you choose to use a pH booster, be sure you are aware of the potassium content. Blood tests are important in measuring sodium, potassium, magnesium, and protein levels. If a fluid restriction is prescribed, you will need to keep track of fluid intake. This includes all foods that are liquid at room temperature, in addition to ice, ice cream, gelatin, gravies, sauces, and soups. Also, many fruits contain large amounts of water. Read nutrition labels and also be aware of hidden sources of salt, potassium, and phosphorus. If you have access to a computer, check nutrient database sites for additional information. Be vigilant with over the counter medications and make sure that your doctor is aware of all medications, herbal preparations, and vitamin and mineral supplements. Be knowledgeable about alternative food choices for optimal well being and preservation of kidney function. Food can have the power to change your health, but only you have the power to actually make it happen. In CKD, there are many things you have to pay attention to in terms of restrictions, but you don't have to do it alone. Remember, you have a plethora of resources at your disposal, as well as your doctor and dietitian to fall back on. Talk with your doctor and dietitian about creating an individualized diet plan, as everyone's needs are different. 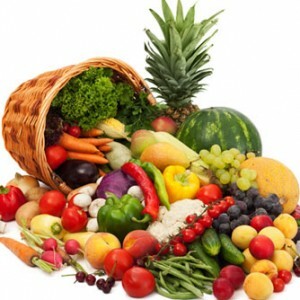 To find out more, you can check out Kidney Disease Diet Plan.